Lavandula is a genus of 47 known species of flowering plants in the mint family, Lamiaceae. It is native to the Old World and is found from Cape Verde and the Canary Islands, Europe across to northern and eastern Africa, the Mediterranean, southwest Asia to southeast India. Many members of the genus are cultivated extensively in temperate climates as ornamental plants for garden and landscape use, for use as culinary herbs, and also commercially for the extraction of essential oils. The most widely cultivated species, Lavandula angustifolia, is often referred to as lavender, and there is a color named for the shade of the flowers of this species. Did you know: The English word “lavender” is generally thought to be derived from Old French lavandre, ultimately from the Latin lavare (to wash), referring to the use of infusions of the plants. 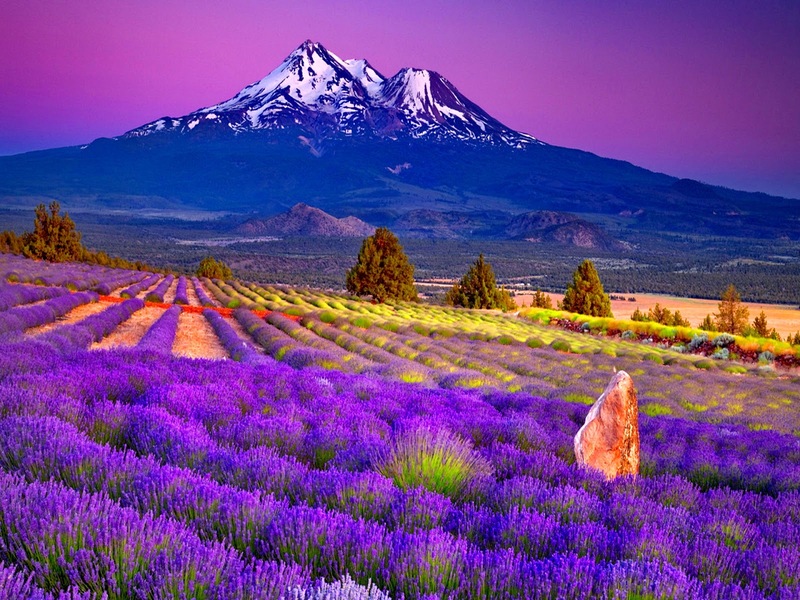 It was also lavender oil that was the catalyst for René-Maurice Gattefossé to become the “Father of Aromatherapy”. It started Monsieur Gattefossé on his journey in learning & cataloging essential oils during World War I. In 1910 France, Monsieur Gattefossé was working in his family’s laboratory, in their cosmetics firm. During an experiment his hand became badly burned & he plunged it in the nearest tub. That tub was filled with the essential oil of lavender. In the following days he became amazed at how quickly his hand was healing & how little scarring was left behind. This started his fascination with essential oils. During the First World War Monsieur Gattefossé used lavender, thyme, lemon & clove essential oils for their antiseptic properties. He noted how the wounds healed quicker & with less complications than other antiseptics used at that time. In 1937 he wrote a book, Aromathérapie: Les Huiles Essentielles Hormones Végétales. When it was translated to English it became know as “Aromatherapy” & the word was born. Oh, you might want to know you can still buy copies of his book. As I mentioned, lavender is one of the most versatile of essential oils. If you’re planning on starting your collection of healing oils, then this is the first one to obtain. Lavender is great used alone. When you mix it with other oils it heightens the action of the other oil & is enhanced by the mixture of oils. We’ll discuss lavender alone. Lavender has the cosmological energy of the moon, soma. Soma is cooling & has moistening lunar influences. Lavender is calming & works as an effective sedative. It aids in relieving headaches & coughs from colds or ‘flu. It’s used to relief muscular aches. Use it mixed with Epsom salts for a soothing bath. 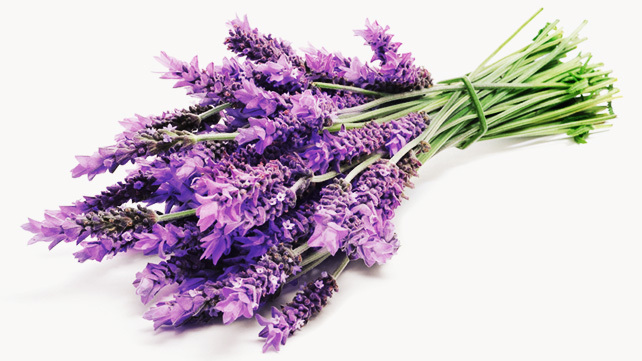 The use of lavender has relieved the pain of arthritis, sciatica, rheumatism & more. It cools the inflammation, reducing it & allowing more ease of movement. Lavender is also great for some of the minor upsets of your infant. The analgesic, antiseptic & antibiotic properties of lavender can help with colic, irritability & childhood infections. Now, keep in mind the essential oil must be diluted for use around small children. A little almond oil as a carrier for the lavender oil is perfect. Lavender is relaxing & refreshing. It uplifts the spirits & helps to relieve the distress of muscle pain. It brings balances to your body & mind. According to your body’s need it will calm or stimulate. It’s excellent for refreshing tired feet, muscles & head & a drop or two on your pillow helps with a peaceful sleep. Use it neat to treat burns & reduce scarring. It has a sedative action on the heart & has been known to bring down high blood pressure & calm palpitation. And last, but not least, it’s also renowned as an insecticide for moths & insects. 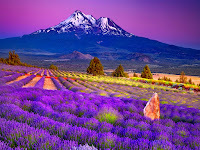 As I said, lavender needs to be the foundation of your essential oil medicine kit. It addresses a myriad of issues. This week was a bit longer, so thank you for staying with me. Til we next we meet, Be Blessed.